Hi! My name is Maribeth Olson-Blunt. 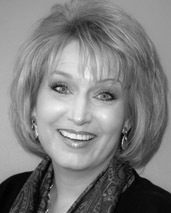 I am a Licensed Professional Counselor with a very private practice in Tulsa and Kansas City. The goal of my practice is to provide confidential counseling and coaching to “high functioning, hiding, hurting” individuals and families. With both an M.B.A and a Masters in Counseling, I am particularly skilled at helping those individuals who have worked hard to reach a solid level of achievement and contribution, but who are experiencing a personal or relational challenge and could use some very private and professional help so that they can return to further success. Does this describe you? You are out there, building the business, raising the family, driving the taxi, volunteering in the community, earning the degree, working and caring every day – but you have hit the wall!!!! It may be that you are worried, depressed, fearful or nervous – a lot. It may be that a relationship is going from bad to worse. It may be that life has taken an unexpected turn and you’ve lost your way. It may be that you have lost someone, or something and the grief is overwhelming. It may be that, despite your best efforts, it’s one step forward and two steps back! ……and for everyone to find out that, behind your great life, you are hiding a secret hurt. There is a place where you can go to figure out your life! You Are Not Broken, Crazy or Dumb!